For Chelsea fans, this is a very worrying period. 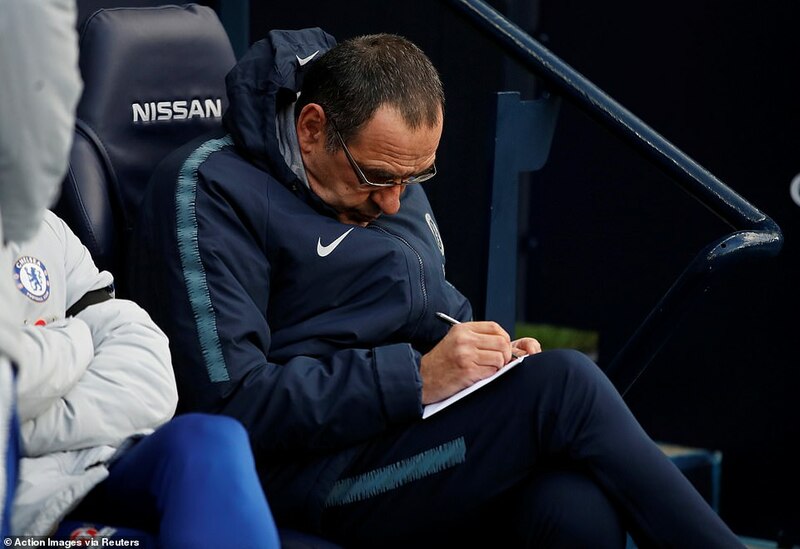 Three straight away losses with a total score of 12-0 have not only demoralised the entire club, from management to the players and fans but has pushed Chelsea into third in what seemed for large parts of the season like a one-horse race for the fourth Champions League spot. 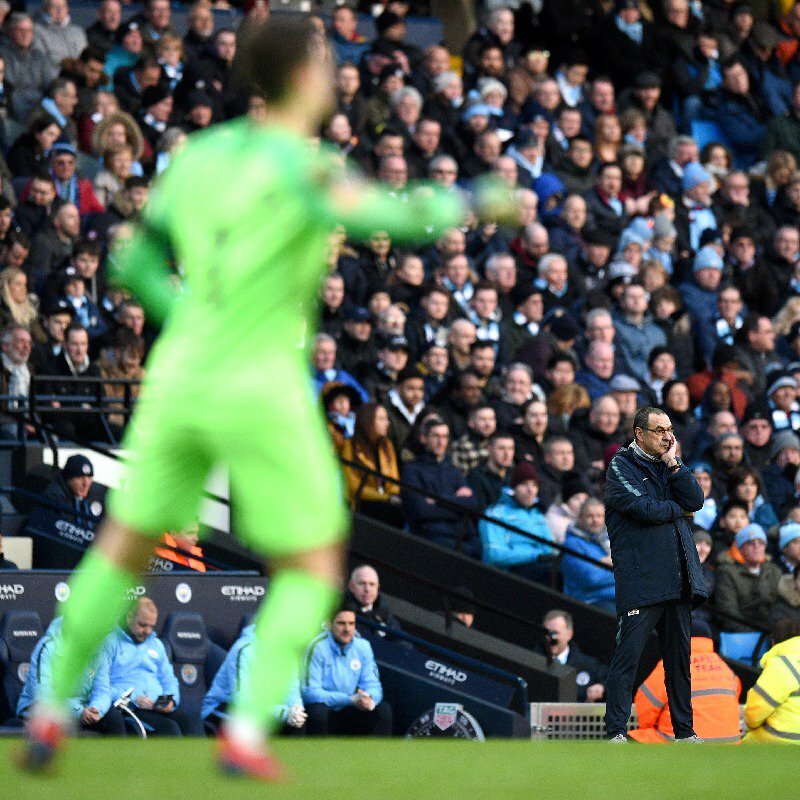 The Blues suffered their worst defeat in the Premier League era at Man City on Sunday, losing ‘only’ 6-0 in a game that could easily have finished 10-0. 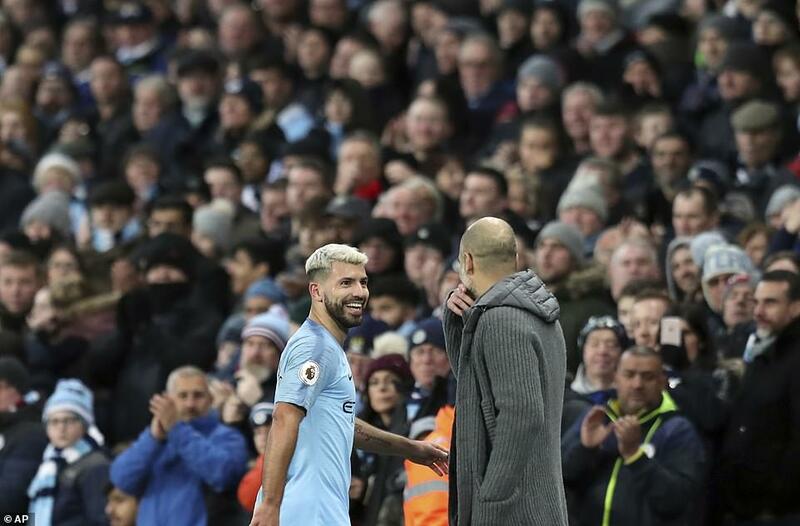 It was a meeting between the league’s last two champions; with City emphatically demonstrating why they dethroned Chelsea last season. More worrying for Chelsea fans is how far they have fallen behind Manchester City and frankly, Liverpool in two years. 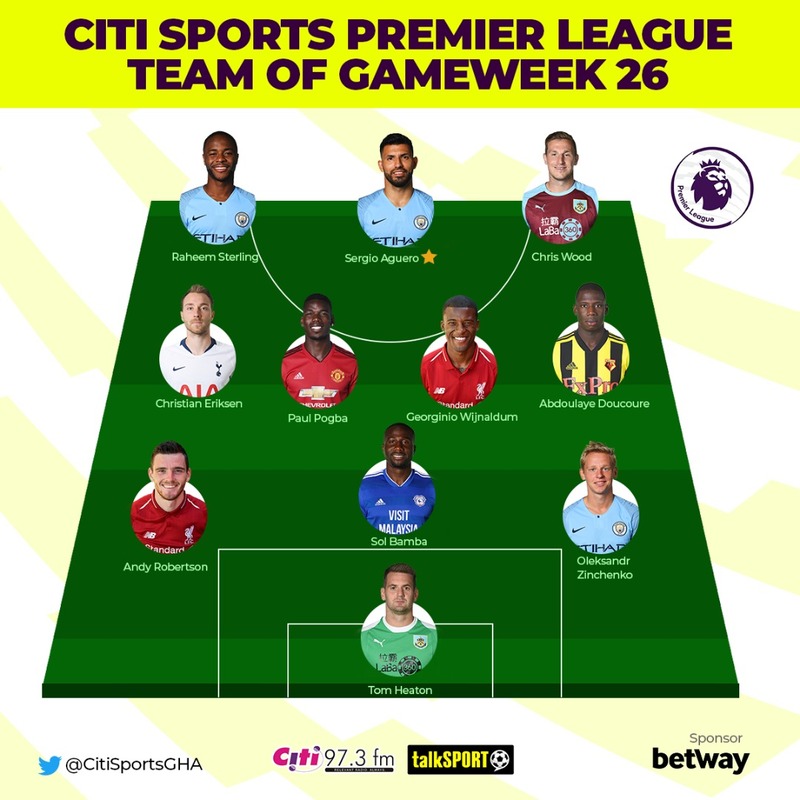 despite still having Hazard, Kante, Alonso and Willian, largely due to changes in tactics, loss of form and poor management. Fans of the club have had reason to have a go at various figures at the club this season, from the Director for a lack of top quality signings, to the manager for his apparent stubbornness and tactical rigidity and a number of players for poor form. On Sunday, the issues with all of these were apparent. 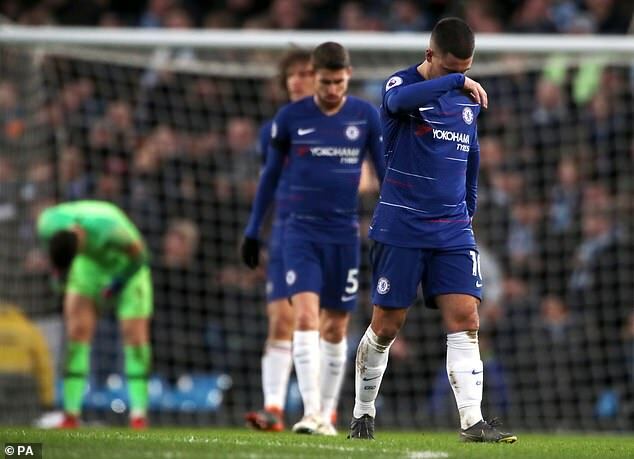 Chelsea’s lack of quality in key areas were exposed by City, the manager’s decision-making in tough situations was non-existent and, for the umpteenth time this season, players like Marcos Alonso and Ross Barkley had a dreadful game. Maurizio Sarri has been forthright about his team’s place behind Man City and Liverpool throughout the season but even he can’t defend Chelsea’s collapse this weekend, and a lot of the blame lies squarely with him. 3-0 down inside 20 minutes would have pushed any other manager to make a change to the system, to tighten things at the at the back and in midfield but not Sarri. A 4-0 deficit at half-time would have prompted a change at the break from any other manager, but not Sarri. The manager has failed to adapt in games Chelsea are not in control of with the Blues players looking clueless on the pitch. Chelsea’s biggest loss over the last five years was not Diego Costa, Lukaku, Jose Mourinho or Michael Emenalo. It was John Terry. Chelsea’s players often look rudderless on the pitch and some decisions by them and the manager off it – in interviews and on social media – have been more than a little questionable. There has been no leadership character of the ilk of Terry since he left, nor will there ever be but no one has even come close to providing the sort of leadership he did. Chelsea’s season is in danger of imploding and in order to stop that from happening, they will need someone to step up and keep the players, and manager in line. Newcastle’s goalkeepers used to be the envy of the Premier League, top shotstoppers inRob Elliot, Karl Darlow and Martin Dubravka who could keep unlikely cleansheets or keep scores as low as they could possibly be. The last couple of weeks however have been particularly testing for the latter. 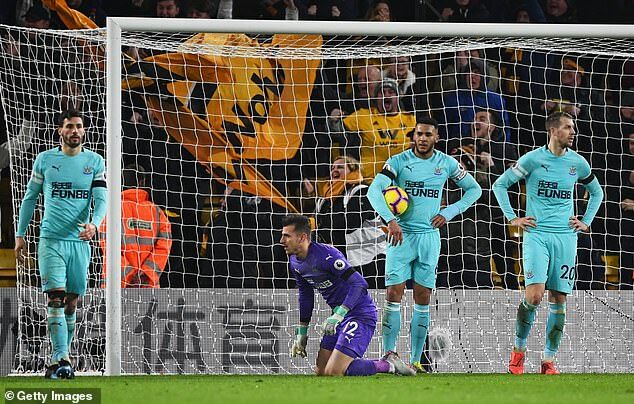 Two pieces of woeful goalkeeping have cost Newcastle a draw with Tottenham and a win at Wolves last night. 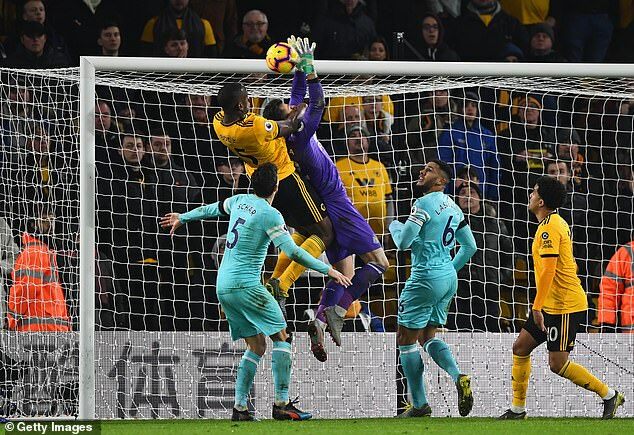 Against Wolves, the argument could be made that Dubravka was being fouled by Boly but the keeper could have punched the ball clear instead of trying to catch it, and probably should have given the result. John Terry once said goalkeepers could win you up to 15 points a season, Dubravka’s lost the Magpies three points in two weeks. Rafa Benitez was furious at the officials after the game but with time running out for Newcastle to put a gap between them and the drop zone, it might be time to look at the last line of his defence. Storming to wins, and the title? Man City swept Chelsea aside on Sunday. Even more impressive than the scoreline was the ease with which they went about their business against a team that was supposed to be a strong contender for the title heading into the season. City have definitely got their winning groove back after a few stumbles and it looks ominous for Liverpool and Spurs fans. The Reds picked up a valuable win against Bournemouth on Saturday to temporarily go back to the top of the pile. Their fans will be pleased that their team is back to winning ways after two straight draws but they will be more pleased that their side has got a bit of their early season swagger back. Bournemouth were no match for them this weekend and couldn’t contain the fantastic Reds frontline. Liverpool however will be wary of Manchester City, particularly ahead of the huge tie with Man Utd. But if they keep playing as they did on Saturday, this promises to be one of the keenest title races in Premier League history. Man Utd’s journey this season has been one to behold. Ruled out of the title race early on, and thought to be out of the running for a top four spot in December, they have turned things around and now sit fourth above both Chelsea and Arsenal. 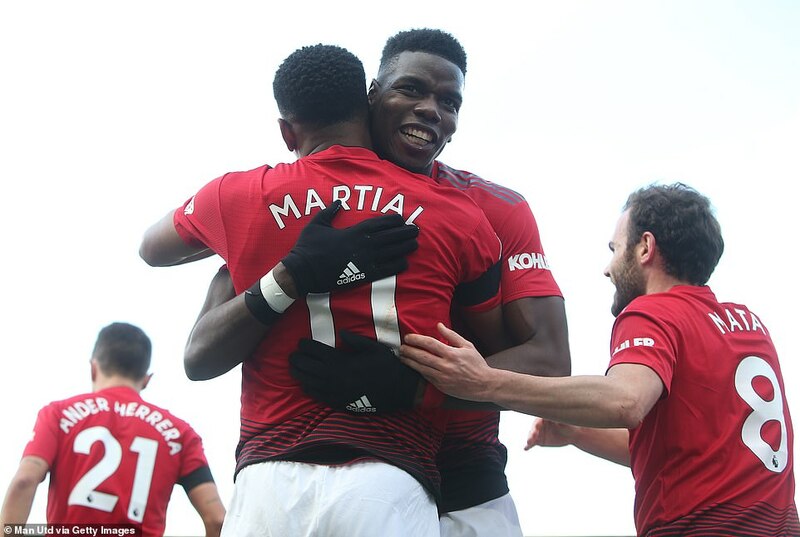 Ole Gunnar Solskjaer has come in and turned things around immediately, brought confidence to top quality players who were being stifled and had lost their way. The results are one thing but the air of invincibility that Man Utd fans had thought they might never feel again has returned. This new side faces its biggest test this week with games against PSG and Liverpool. Win both games and we might be talking more confidently about a United title charge next season. Drop points in either, or both and they might swiftly find themselves out of a cup competition and back in 6th. 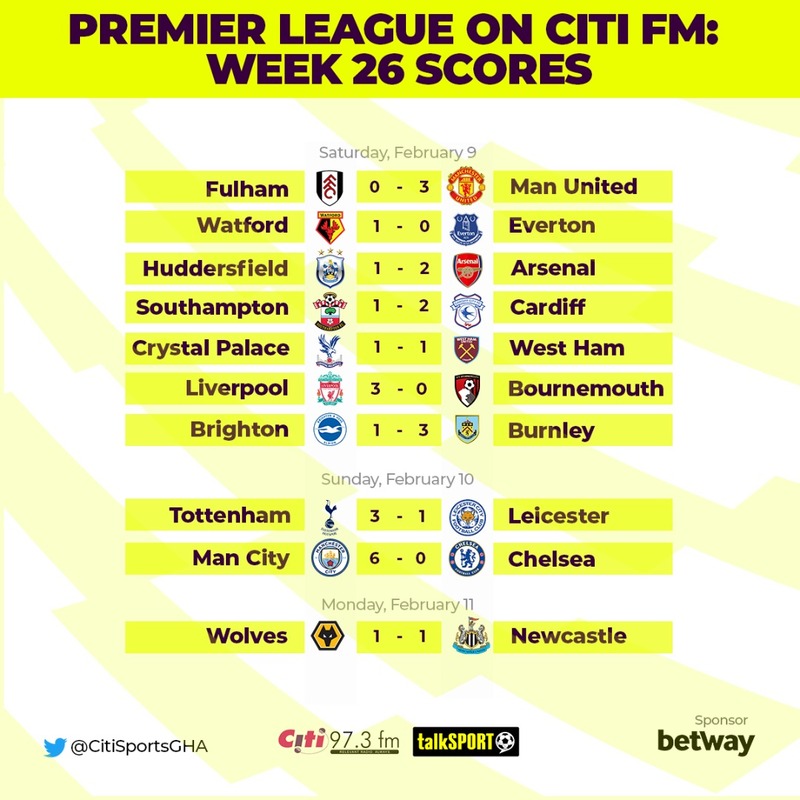 The Premier League is live on Citi FM courtesy Talksport, and is sponsored by Betway.